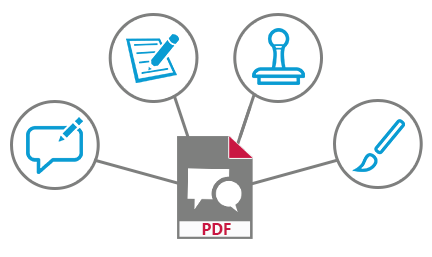 Create, edit, convert and annotate all of your PDF documents! Although PDF is the “universal” document format for professionals and students, the options are limited on the editing front. 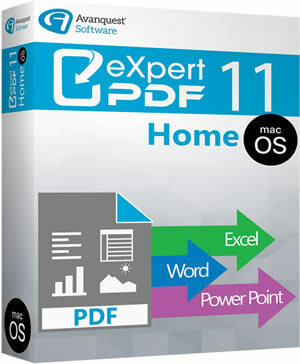 But now Expert PDF 11 Mac offers you the simplest and most complete solution possible to create, edit and convert all of your PDF documents! 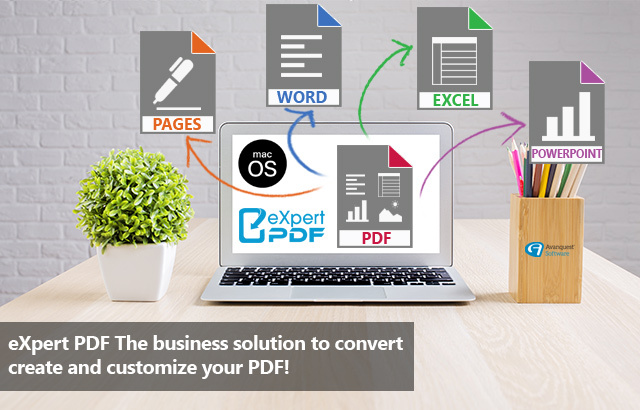 You will be able to edit all of your PDFs by using the many features offered by the software program, such as adding text, links, signatures or annotations. 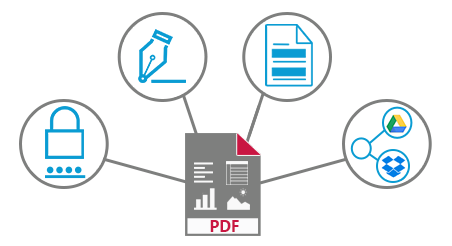 You now have as much control over your PDF documents as you do with your Word documents. Edit text: Edit entire paragraphs of your PDFs and then delimit the different areas by changing the font style, colour and size of the text. Edit images: Here too you have considerable scope of action and can add the images you want, copy and paste them or even resize, replace and rotate them. Edit pages: Organise your documents at will by inserting and deleting pages. You can also crop, extract, adjust and finally add page labels. This feature can be handy for exchanging comments with your colleagues for instance. You leave the document unchanged but simply indicate your ideas and proposed changes in the area concerned. Annotations can take the form of stamps, drawings, text boxes, and so on. This option is a big time-saver since it allows you to create and fill out your forms online, directly on the PDF. This does away with the need to print, fill in with a pen and then scan again. When you create a form, you are free to fill in the editable areas, choose the background color, the font, the width of the columns, and so on. You stay in control of your PDFs. You can choose to protect them by means of a password or an authorization. You can also add your digital signature to give them official value. If you then want to share your documents, you can send all your PDFs to your Dropbox from the software program. Add and edit: Text, images, pages, links or watermarks. Annotate: Complete, highlight, comment, draw, stamp. Convert and create: Quick conversion, extract, merge, create forms, template library. 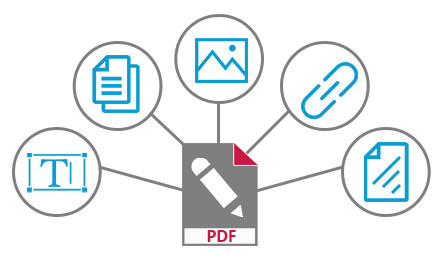 PDFs can be converted into the following formats: Word, Excel, PowerPoint, HTML, JPEG, etc. Protect: sign, add a password or authorisation, share, print.